School attendance software automates attendance recording process, easing the burden of documenting student movements and generating attendance reports. Being in charge of a school means taking responsibility for all of the day to day details that affect teachers, students, and staff. School attendance is an extremely important metric for individual students, parents, and teachers, as well as for the school as a whole. Yet maintaining attendance records can be tedious and time consuming. What Is School Attendance Software? School attendance software helps teachers and administrators streamline their daily tasks. Whether used individually or as part of an overall school management software collection, school attendance software makes it easy to keep up with where students are. You can easily enter a batch code when a group of students are on a field trip, or individual codes for various types of excused and unexcused absences. You can run reports by grade level or class period, automatically generate notes to parents, and print out school-wide documentation that demonstrates your school’s compliance with attendance regulations. Integrating school attendance software with student ID cards opens up even more possibilities. If students are required to scan their IDs when they enter the building, the software can automatically record whether they are on time or tardy. Students can scan into each class as well, and scan out if they leave early. Monitoring student movements via ID cards helps save valuable classroom time and provides a more complete record of individual class attendance. 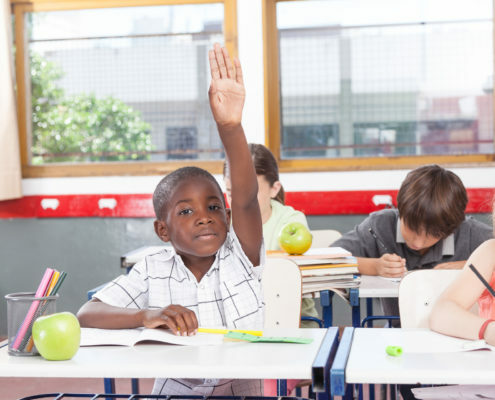 Who Is School Attendance Software Right for? School attendance software is an easy to use solution for teachers and administrators alike. Teachers can see at a glance if absences or tardies spike during a specific lesson or test. Administrators can pinpoint potential issues with an individual student’s attendance or determine whether certain groups are habitually missing class. If problems are discovered, it is easy to generate a note to parents with a detailed attendance report for their child.